PROMAX Premier is High Performance in every aspect. European Cutting Edge Technology meets our superior coatings and high standards. See what these Material Specific High Performance Carbide End Mills have to offer. Tooling you Know and Trust. 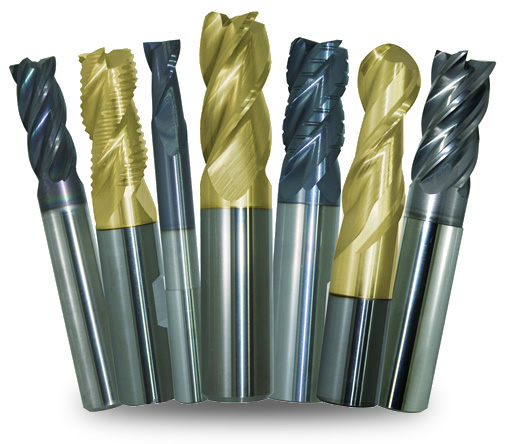 PROMAX Premium has a wide selection of tooling styles, from variable helix to hybrid to our unique 40 degree helix. A variety of coatings and geometries are stocked to cover most applications. View the line and see what we have to offer in Premium Solid Carbide End Mills. With High Quality, Commodity Prices, and Outstanding Quality Control, Design-Rite stands out from all the other general carbide cutting tool lines. It too comes in a variety of coatings and geometries to handle all applications. Take a look and see what it has for you. CERATIZIT Sacramento (formerly PROMAX Tools) is a premium manufacturer of solid carbide round tools located in Rancho Cordova, California (in Sacramento County). 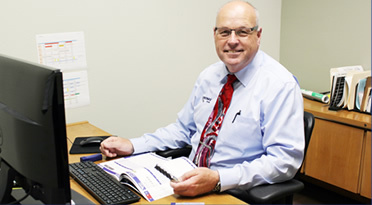 The company is housed in a 36,000 square-foot, state-of-the-art facility with approximately 95 employees. And most importantly, our goal is to satisfy customer requirements and expectations 100% of the time. 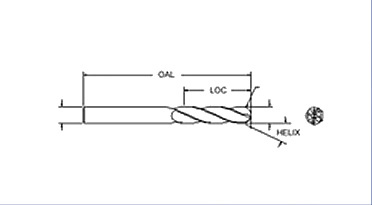 PROMAX Premier, PROMAX Premium and DESIGN-RITE XL end mill lines. 40 CNC cutter-grinders, with support robotics, consisting of Walter-Grinder, Rollomatic, Anca, Excalibur and True-Tech. 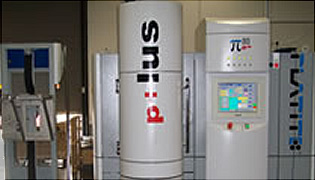 Machine software that is constantly updated ensuring the most current technology is utilized. Use of a central network tool program repository which ensures consistency between production lots. Design and engineering departments that are invested in CAD-CAM technology, and most notably, Walter-Grinder and Rollomatic simulation software that assists in the off-line design prototyping and programming of new standard and "special" (make to print) solid carbide cutting tools. 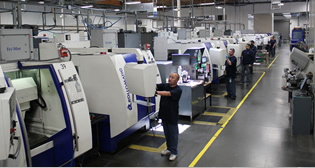 Accurate measurement and quality control of precision cutting tools, including CERATIZIT Sacramento's advanced CNC Measuring Machines, Laser Micrometers, Optical Comparators and Video Microscopes to 400x power. 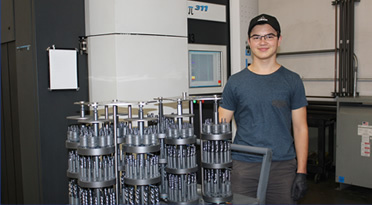 This equipment provides our technicians and our inspection department to meet the customers' most stringent tolerances and other requirements on virtually any tool dimension. CERATIZIT Sacramento has concentrated extensive company resources to guarantee a quick and flexible response to customer requests for special quotes, modifications and products. Quotes are normally provided within 24 hours, product turn around for modifications is just a few days, while finished product turnaround for "specials", in most circumstances, is just 4 weeks. "Specials" are typically produced under the PROMAX Premium name, while modifications can be under any of the product lines. Communication with end users is always encouraged and tool engineering assistance is available. CERATIZIT Sacramento provides a toll-free number for technical support for all three of our product lines. Distributors and end users are encouraged to call with any questions at 800-878-0502. Customers who purchase PROMAX Premier, PROMAX Premium & DESIGN-RITE XL end mills receive both an excellent tool and the knowledge and assistance of our Technical Support and Customer Service teams. CERATIZIT Sacramento was built on the foundation that Customer Service is just as important as the product being sold, thus our customers receive the answers they seek and the information they need in a more than timely manner. As our customer, you can feel comfortable knowing that quality products and customer satisfaction are at the foreground of every decision we make.